Uberchic are smashing out some awesome plates at the moment and I couldn't be happier. Earlier this week I shared with you the new Art Deco Flair plate (you can find that post here if you missed it) and today I have my favourite of the two new plates - Moroccan Delight. Now don't get me wrong I love the Art Deco Flair plate but if I could only pick one of the plates this would definitely be my pick. Let's take a look at it shall we? Some times when I look at a plate I gravitate towards a couple of images, this plate however I didn't. I want to use ALL the images! Because I didn't have any image in mind to use first I didn't have a mani in mind. Instead I decided to grab some polishes (I went for blues and oranges) and this is what I ended up with. I love this mani! Polishes used are Emily de Molly Bright Retreat, China Glaze Athlete Chic, More To Explore. Water-Falling In Love, Wait N' Sea and UV Meant To Be. Stamping polish is Hit The Bottle Snowed In. 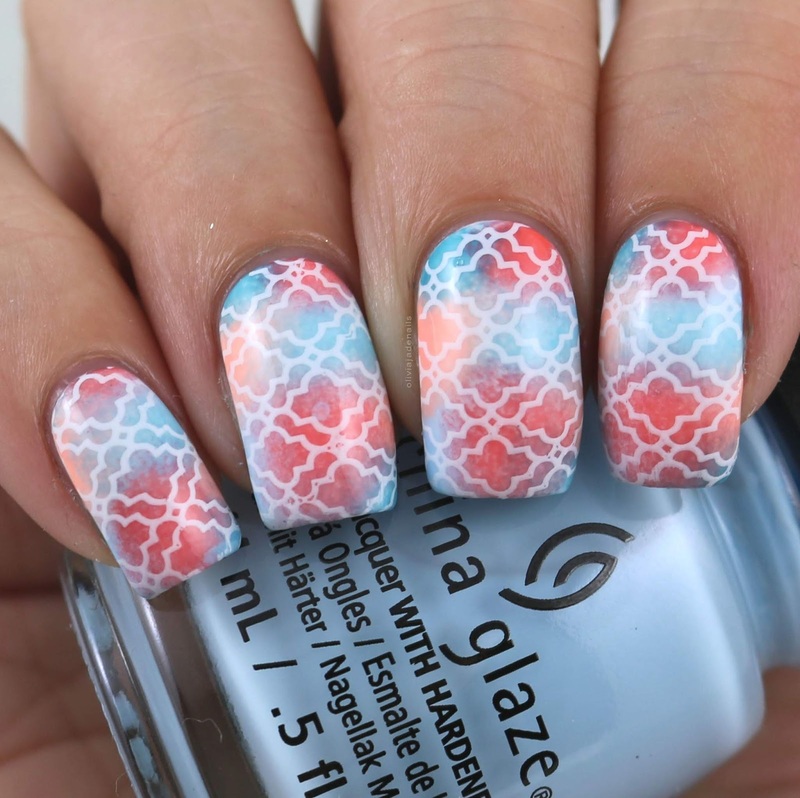 This next mani is another mani that I love! 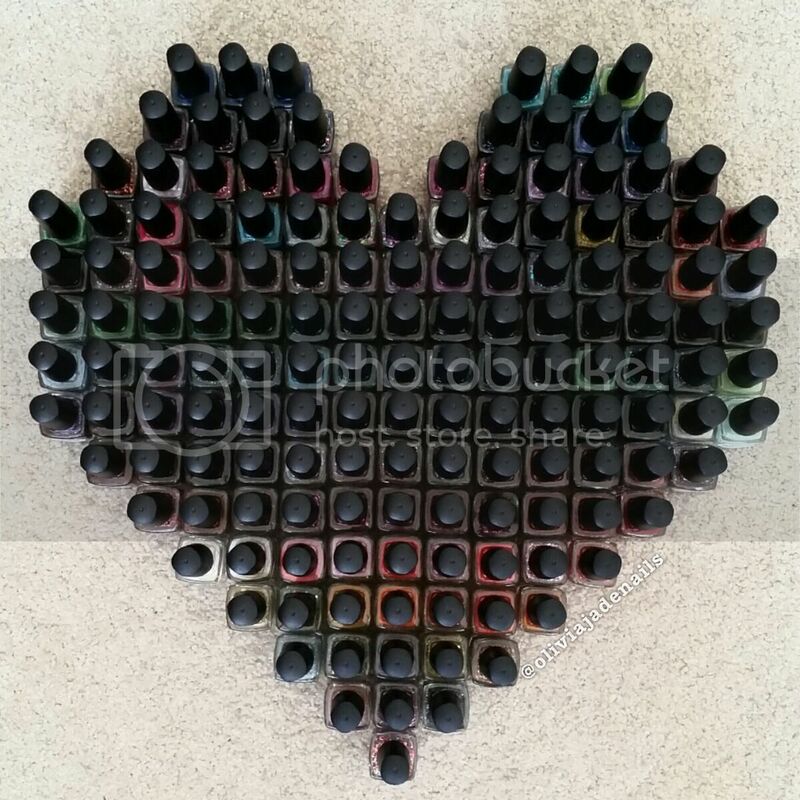 Again, I struggled to decide what image to use before I started this mani. For this mani I used Pretty Serious Cosmetics Fluffykins, Peachie Poo, Bon Bon, Cutie Patootie, Little Duckling and Bunny Foo-Foo, and stamped using Powder Perfect's Black Stamping Polish. I'm not sure there are any other ways that I can say that I love this plate! It's hands down one of my favourite Uberchic plates that I have....that is a big call. I have a lot of Uberchic plates. I'm confident that this plate will end up in my favourites at the end of the year. What do you think of this plate? 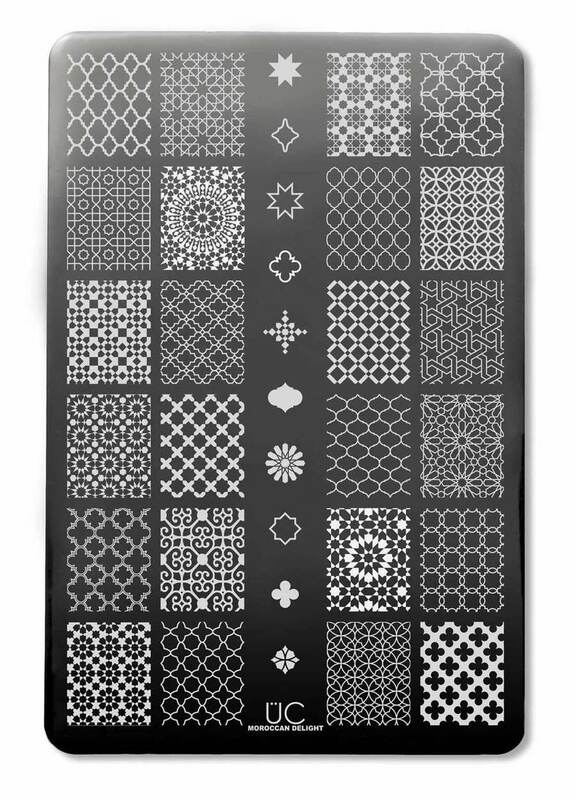 The Moroccan Delight Stamping Plate is available now from Uberchic Beauty.